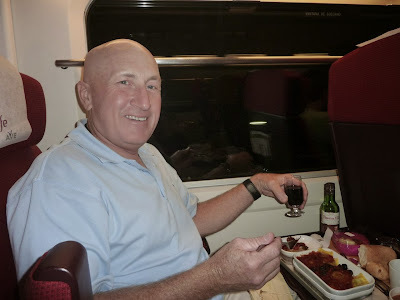 Travelers Tip: The few dollars extra for "Premier Class" on the Spanish trains are well spent! We arrived at the Sevilla RENFE station about an hour early for the train to Madrid. 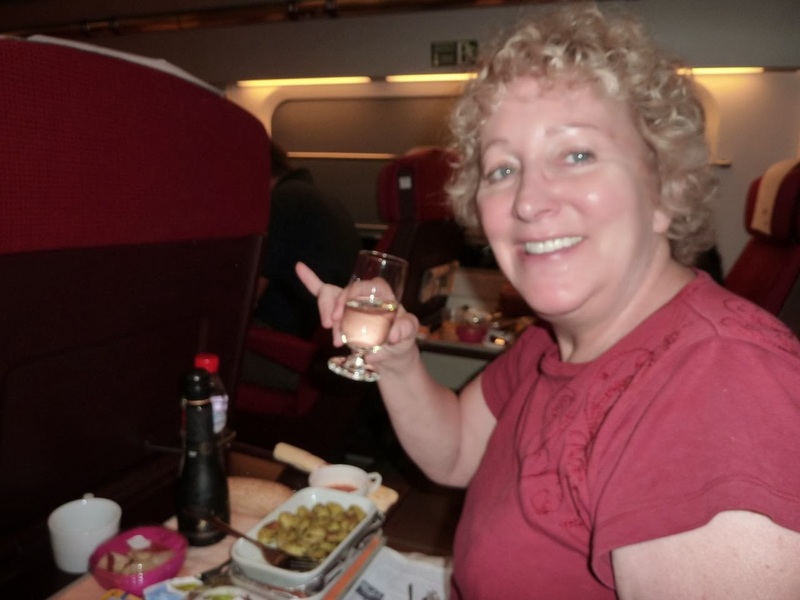 But our first-class tickets entitled us to use the Premiere Class Lounge. The seating is comfortable; there are light snacks and most importantly FREE DRINKS! 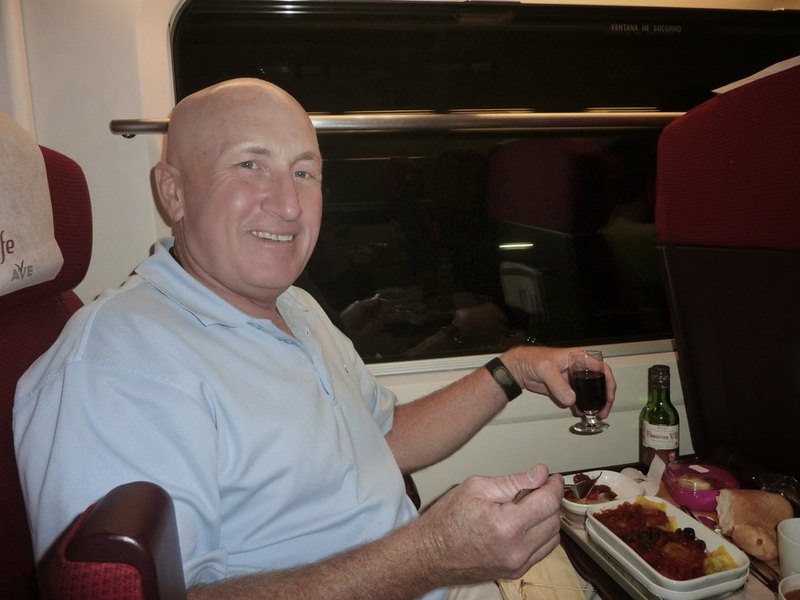 Seats on the train are roomy and comfortable; the meal was good (they even provided a vegetarian selection for Gloria), served on a linen tablecloth. With more FREE DRINKS ! The 3-1/2 hour ride passed quickly, we arrived at Atocha station in downtown Madrid, then took the airport express bus to Barajas airport. We'll decompress at the convenient Best Western Hotel Villa de Barajas.